Broncos beat the Chargers and my daughter calls me a . . .
That’s what she called me after the Denver Broncos beat the San Diego Chargers. We were eating dinner and I was giving instructions to both her and my wife to remember exactly what they wore during the Broncos game so they could wear it again the following Sunday for the showdown with the evil New England Patriots. 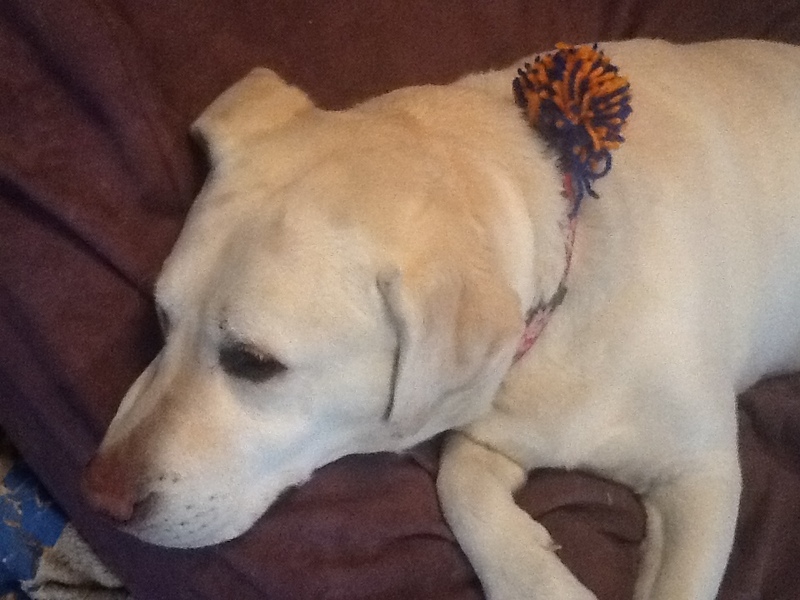 You know you have the best wife ever when she makes a Broncos pom pom for the dog without a Broncos collar. Love. “What? You want us to wear the same thing we wore today?” she said, as if I’d just asked her to eat kale at every meal for the rest of her life, which is funny because it feels like a lifetime from the moment we ask her to eat her kale to when she actually takes a bite. “You’re a whack-a-do,” she said. “Is that good or bad?” I asked. Tweener code, it’s never boring. I rue the day she calls me a cray-cray nutcracker, a term her friend invented for who knows what reason. I need to order a tweener decoder ring on Amazon. Regardless of my daughter’s protest, all three of us will be wearing the same clothes on Sunday at noon when the kick-off takes place. Fortunately for the ladies of my house, they will get to wash their clothes before the game. I, being an OCD purist, will, with the exception of my Labrador boxers, be wearing the same clothes in their pristine, unwashed condition: my old Broncos t-shirt under my orange Manning jersey, Broncos lounge pants, vintage Broncos logo hat, and orange-trim running shoes, no socks. Yes, whack-a-do sounds about right, whatever it means. 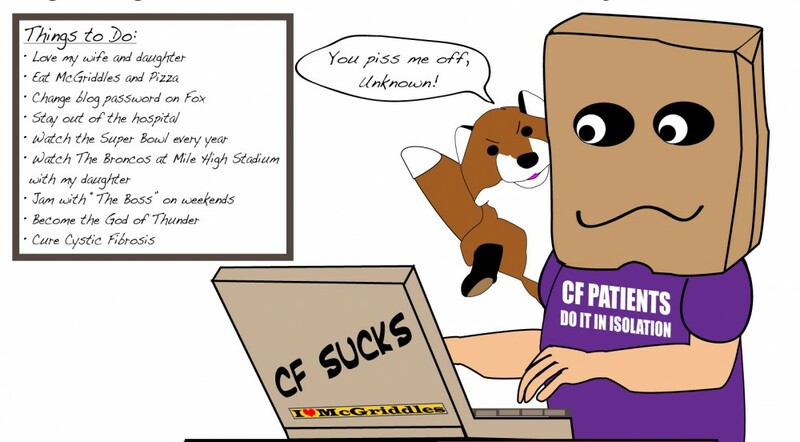 This entry was posted in Adventures in Los Angeles, Fun & Humor and tagged Broncos, Denver Broncos, Obsessive–compulsive disorder, OCD by unknowncystic. Bookmark the permalink. Keeping up the stink. Heavy. Thanks for the comment. Light. Sounds like a plan. I’ll wear the same too…my Falcons shirt…or was it the Auburn SEC champion shirt? Uh-oh, we may be in trouble here. A Falcons shirt won’t cut it. Time to spring for the DB shirt you’ve never wanted. 🙂 You were so close to getting that Auburn shirt. One more drive. ARGH. I’m whack-a-do too! Took off my Manning/Broncos t-shirt and folded it for safe keeping–no washer here!!! Don’t wanna agitate the good vibes away. We here in Colorado are all going rather nuts about it all. Superbowl or bust!